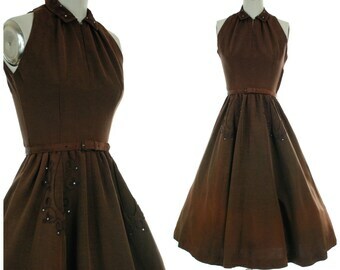 Vintage 1950s dress is the kind of timeless fashion I find absolutely irresistable. It's a Jonathan Logan, a ready to wear label I really appreciate for their crisp shapes and quality textiles. This is a lush, soft rayon and wool blend gabardine in warm neutrals - beige, taupe and brown. 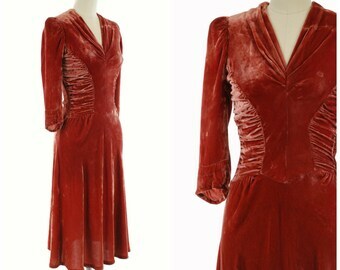 This beauty closes collar to hem to with a center button placket. The stripes run vertically on the placket, but are cut on the bias in the bodice and skirt. 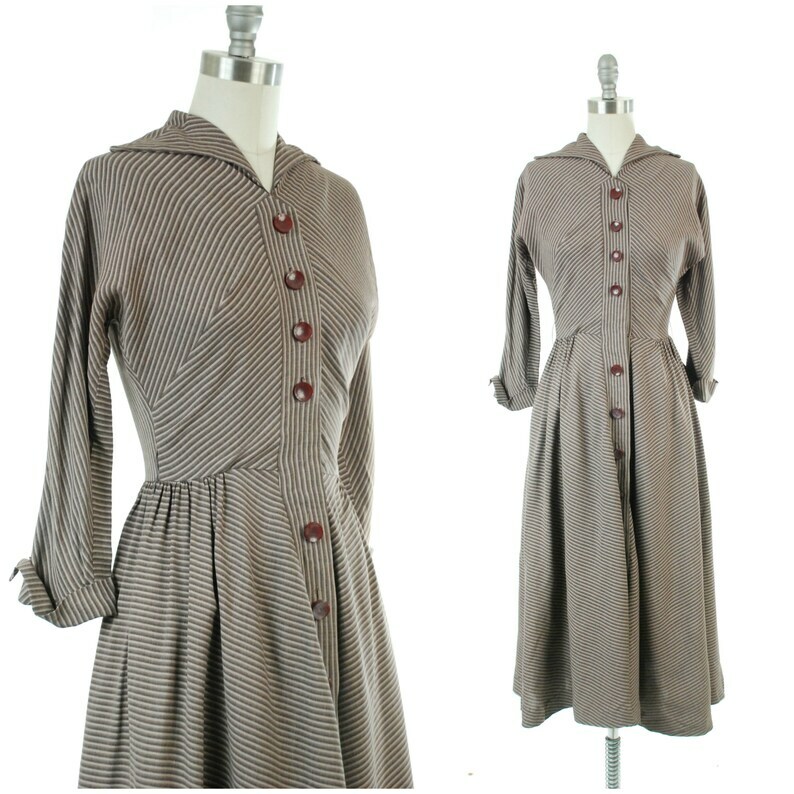 The winged collar offers mitered stripes, as does the back of the skirt. The skirt is gently pinch pleated, and cut to flare, giving it a soft drape. Despite the bust measurement, this was snug on the size 6 mannequin, and I'd recommend it for a US size 4. This dress is crisp, fresh and ready to wear. There is one very neatly repaired moth hole at the lower back of the bodice, and two in the skirt. These don't detract - this dress wears beautifully. Vintage 1950s Dress - Unique 50s Sun Dress with Full Skirt and Red Plaid "Patches"